August to October is the most exciting period around the whole year, because all kinds of product launch press conference are held in this period. 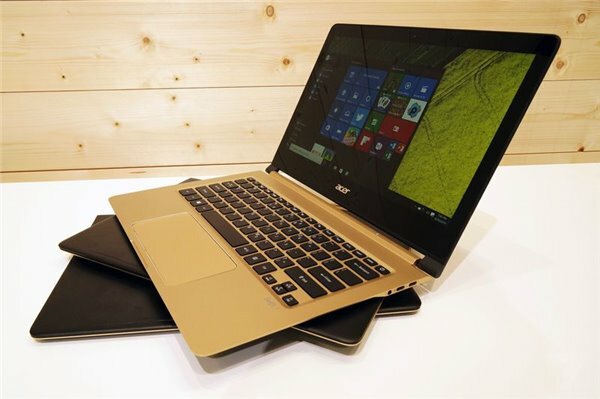 And there is no exceptional rule for Acer this year, which also unveiled their latest range of Windows 10 laptops at IFA 2016. Now, we will take a look at the main two laptop ranges - Acer Swift 7 and Spin 7, which are the most impressive and high-end options, and then share tips to enjoy iTunes movies and Apple Music on Swift 7 and Spin 7. Acer opened his IFA with variety of notebook products, of which Swift 7 is much breathtaking. With the 7th generation Intel Kaby Lake i5 processor, only 9.98mm at the rear end, makes it become the first under 1cm thick laptop, defeating Apple MacBook and HP Spectre 13. It's deliciously sleek and a real tempting option if you're looking for an ultraportable to take on the move. The Spin 7 is one of the best-looking hybrid devices around the world and it said that it has a similar feel to Lenovo’s Yoga Pro machines. At just under 1.1cm thick and weighing in at 1.2kg, it’s impressively thin and light for a laptop that features a 14-inch screen and a hinge that allows it to fully rotate. 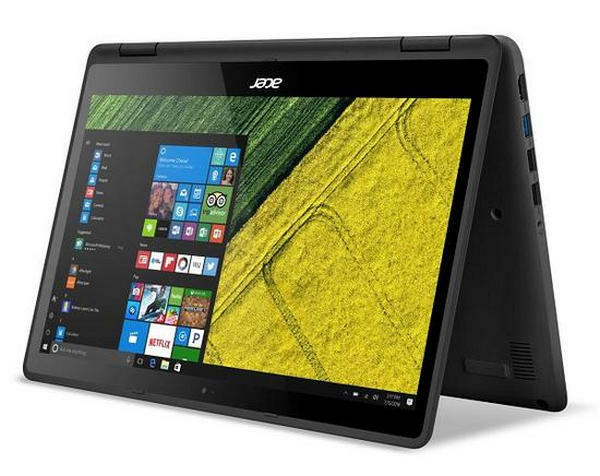 Acer Swift 7 and Spin 7 are the most worth purchasing laptops, because Acer pursues the smart looking of these 2 laptops not at the sacrifice of its performance. They will see you guys on October, and are you considering to purchasing these 2 attractive laptops? Before they officially come in to the market, here shares 2 tips on how to enjoy iTunes videos and Apple Music tracks on Acer's Swift 7 & Spin 7 without any limitation in advance. Do you want to keep your iTunes rentals on Acer Swift 7 or Spin 7 forever for more freely enjoy? But as we all know that these rental videos are inserted with DRM protection which means that you can not own these videos forever. In this case, all you need is just a professional DRM removal tool NoteBurner M4V Converter Plus which can legally remove DRM not only from iTunes purchased M4V movies, but also from iTunes rental M4V (Including iTunes Extras) before their expiry date. In this way, you can save your videos as plain formats like MP4, AVI, MPG etc to your new computer forever. You must have large library of Apple Music files, so if you want to enjoy them on another music app you use on Acer Swift 7 or Spin 7, or you want to cancel subscription on Apple Music and still want to keep these downloaded music files, you just need NoteBurner Apple Music Converter which is specially designed to remove DRM and convert any audio which can be played in iTunes, such as Apple Music files, audiobooks, iTunes music or other downloaded music, to MP3, AAC or WAV format. After removing DRM, you can enjoy these files on your Swift 7 or Spin 7 without any limitation. What's next? Download and purchase these two useful DRM Removals to help you remove DRM from iTunes videos and songs. There is a suite of M4V Converter Plus and iTunes DRM Audio Converter, which saves you $64.95 to get both of them. How to Keep Apple Music Songs Playable after Canceling Subscription?